They take all the great summer stuff out of Target and replace it with Trapper Keepers and pencil sets. As if we don’t know what it’s for, they have to add banners everywhere with school buses and bad handwriting reminding us that summer is over. 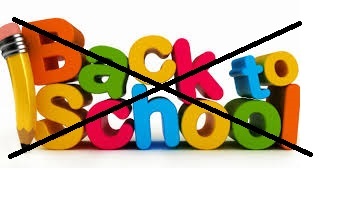 And THEN pictures of smiling, excited children to try and sell the idea that going back to school is so much fun! 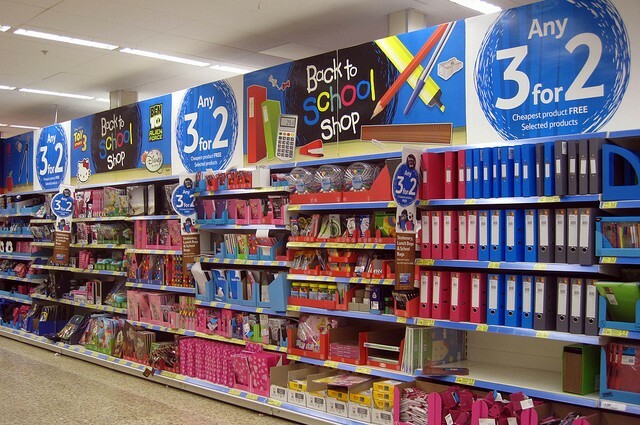 I’ve got friends who insist that they always loved going Back to School shopping, and I simply don’t believe them. “But didn’t you enjoy getting new school supplies every year?” they ask. 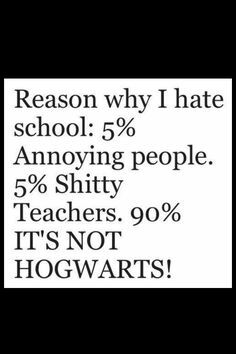 I never liked school. College was great, but the 13 years of my life leading up to that: miserable. On top of that, I was easily bored by the subjects my teachers would drone on and on about forever. Texas history for 4 years in a row? Been there done that, boring. Fractions? Some sort of sick joke, boring. The scientific method? Predictable, boring. The only things I really liked were art, reading and creative writing (shocker). I’d pretty much spend the rest of the time pretending to pay attention, but really letting my imagination run wild with things I’d rather be doing, like hunting dinosaurs or talking to ghosts. Hey, it was better than being bombed in the nose with one of those plastic balls. These are the memories that come to my mind when I see a new line of backpacks thrust in my face. Hours and hours of boredom surrounded by people I was too anxious to interact with. Also, the frustration of lending someone a pencil only to have it returned covered in bite marks like a damn beaver had gotten a hold of it. Children of America I’m sorry for your loss of freedom and summer. I’ll pour one out for ya as you pass me in a Yellow Dog on your way to institutionalization. Be strong, stay a live and don’t forget to fight for your right to party. In the meantime, Target, can you just go ahead and bring out the Halloween stuff already? Tags: back to school, childhood, children, funny, humor, kids, school, Target, Writer, writing. Bookmark the permalink.